After serving some years of ministry, many people find that not only are their own souls feeling empty but that they never really learned how to help others deepen their lives of prayer, even though this is something they long to do. What is the D.Min. Christian Spirituality Focus like? The Doctor of Ministry Christian Spirituality Focus is designed to give Christian ministers the opportunity to explore the depth and breadth of Christian spirituality across time periods, cultures, and contexts while providing key skills to equip them to help the people they serve become increasingly open, available, and responsive to the work God is doing in their lives and in the world God so loves. 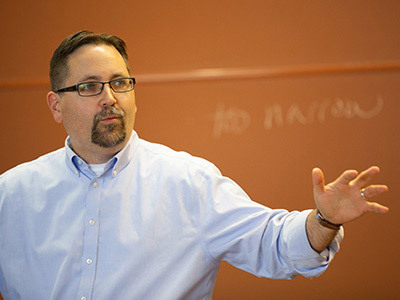 Students will experience the joy of study in a community of learners, the rejuvenation that comes from attending to their own lives of prayer, and the satisfaction of widening the impact of their ministries by receiving a certificate in either Spiritual Direction in Ministry or Leading Spiritual Formation. All students must be in one-on-one spiritual direction before Intensive II (beginning June 2020) and throughout the remainder of the program and should ideally have experience in one-on-one spiritual direction before the program. Beginning after Intensive II, students seeking a certificate will engage in the ministries of either spiritual direction or spiritual formation with bi-monthly distance peer-supervision sessions. Spiritual Direction in Ministry: Monthly meetings with at least two directees beginning after Intensive II and continuing for 18 months, with nine peer-supervision sessions. Leading Spiritual Formation: Monthly leadership of spiritual formation (or equivalent—leading a retreat would count as two months of spiritual formation, for example) beginning after Intensive II and continuing for 18 months, with nine peer-supervision sessions. Students may choose to receive a DMin in Christian Spirituality without receiving a certificate. In this case, students will not engage in peer-supervised ministry, but will engage in all other practices sessions and complete the DMin project/thesis. Combining skill-building and academic rigor, along with faculty who have expertise in the field of Christian spirituality and are committed to living deeply spiritual lives, this program helps students deepen their own lives of prayer while learning to help others do the same. WHAT DOES THE D.MIN. LOOK LIKE AT PITTSBURGH SEMINARY? The Doctor of Ministry is a professional doctoral degree providing space for renewal, growth, companionship among peers, and rich dialogue with faculty. The D.Min. allows you to step out of your ministry context to sift through new information and ideas while at the same time stepping back into your ministry context to discover how and why that learning matters. At the end of your course work, you will design and implement a project that engages your ministry context in conversation with your work in the classroom. Who will teach in this cohort? Students will learn from PTS professors Roger Owens, Leanna Fuller, Tucker Ferda, and Ken Woo, and practioners Amy Oden and Shan Overton among others. Classes in the Christian Spiritualty Focus meet for two weeks in January and June for three years. This program is 36 credits and is typically completed in three to four years. Applications are accepted for our June 2019 cohort. Apply now to reserve your space in the next group. Financial aid and scholarships are available for those who qualify. Identify their own gifts and areas for growth in the ministerial practices of spiritual direction and/or leading spiritual formation among individuals and in the context of Christian communities. Articulate how key themes and practices of Christian spirituality, as expressed in more than one historical or cultural tradition, relate to the practices of ministry, including but not limited to the ministries of spiritual direction and leading spiritual formation. Express with cultural sensitivity the way the themes and practices of Christian spiritualty are shaped by diverse cultural and historical circumstances. Use appropriate tools of social analysis to describe how the themes and practices of the Christian spiritual traditions take shape in a particular context and reflect theologically on that description.